“4.3 A Minister must not direct or request a civil servant to do anything or perform any function that may conflict with the Singapore Civil Service’s core values of incorruptibility, impartiality, integrity and honesty. Neutral? This is quite apart from the fact of whether it is right for the PM to use a civil servant paid by the taxpayer to assist him in his private capacity and not his official one. He is suing Roy as a private individual and yet he uses a state employee, paid by you the tax payer, to write to the foreign press defending his personal matter. I believe the principle has been established that State Institutions cannot sue a private individual so why can a state employee be put to work on it. Is the Press Secretary working for us, who put the government in place as public servants, or is the Press Secretary working for LHL in a private capacity. It needs clarifying. I have had another thought. If the PM used his Private secretary to write to the Economist on his personal matters was this also a misuse of office resources, computer etc such as got Roy fired? The posts have already attracted a lot of online comments. Some of the commentators have defended Lee Hsien Loong’s actions in getting his Press Secretary to write since, they say, Roy Ngerng’s defamation brought the Prime Minister’s Office (PMO) into disrepute. However I would disagree. The defamation was against the person and not the office. 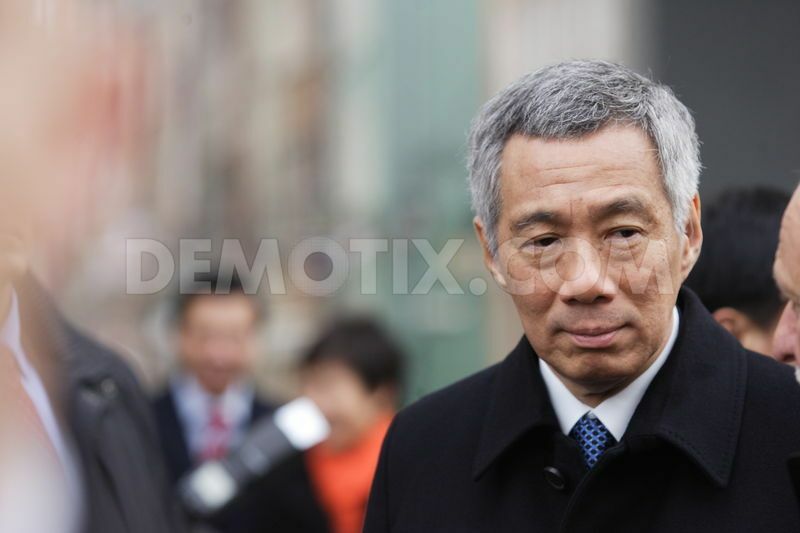 Lee Hsien Loong is suing Roy for damage to his personal reputation not to the reputation of the PMO. If he succeeds in his action for damages the money will not go to the PMO but to Mr Lee personally. The proper person to have written to the Economist should have been Lee Hsien Loong’s lawyer, and not his Press Secretary who is paid by the taxpayer. Who has responsibility for determining if there has been a breach of the Code and what sanctions should apply? This Code of Conduct for Ministers sets out the “rules of obligation” that all Ministers are to abide by in order to uphold these standards. Breach of any of these “rules of obligation” may expose the Minister to removal from office. This Code does not have the force of law and therefore any issue concerning the compliance or non-compliance with it is not subject to review by any court or tribunal. The Code is silent on how it is to be enforced. While responsibility for Ministers’ observance of the Code would appear to rest with the Prime Minister, it is not clear from the Constitution how breaches by the Prime Minister would be dealt with. The onus for investigating breaches would appear to lie with the President though this needs clarification. In matters involving corruption the President has the power under the Constitution to concur with the Director of CPIB’s decision to authorise an investigation even if the Prime Minister refuses to give his consent. However the CPIB comes under the PMO so it is not independent. The President does not have the power on his own to initiate investigations. In this instance a request should be made to the President asking him whether he has jurisdiction in this matter? If he does not who does? If he does, then he should investigate whether Lee Hsien Loong has breached the Code and make his findings public. Surely Lee Hsien Loong would not be able to continue in office if he was found to have committed a serious breach of the Code? Mr President, Please clarify. Who straightens out the wheel breaking the butterfly? This is the pathetic standard of PAP’s “integrity” which lky boasted for 5 decades. Similar to his “Asian democracy”. Now we know “integrity” & “democracy” are in fact a false façade which they operate behind. Its good Mr. Kenneth of the Reform Party brought this up as generally Singaporeans may not have realised this breach. An independant committee need to be appointed with Mr. Kenneth heading the investigation on this matter and perhaps on any other violations too.